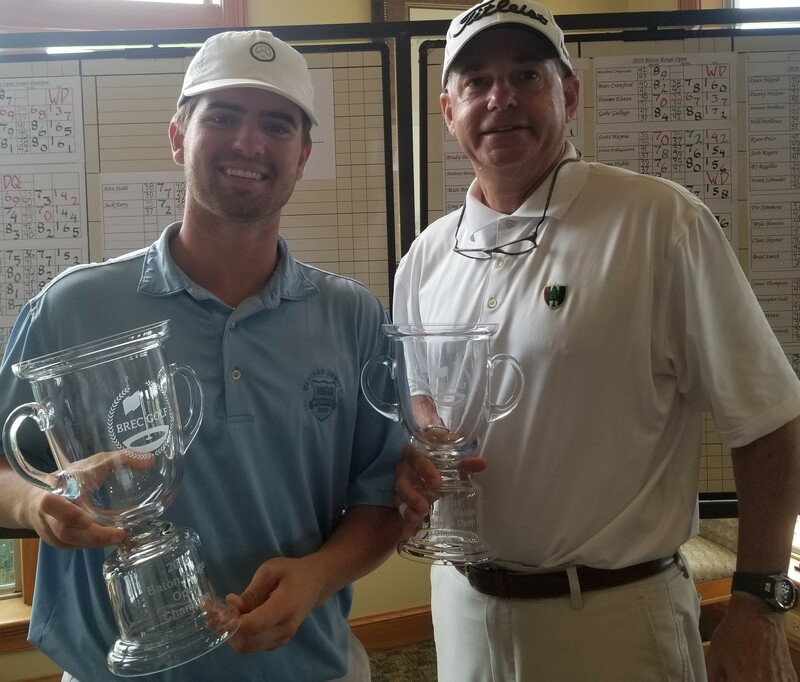 Tristan Elston rallied from 3 shots back at Beaver Creek to win the 2018 Baton Rouge Open by 3 shots over B.J Rogillio. Elston finished at 7 under par 137 with Rogillio at 4 under 140. Lush fairways and smooth fast greens helped 7 players finish under par. Greg Berthelot, Wendell Akins, and Stewart Perilloux tied for 3rd at 3 under par 141. Tommy Brennan continues his strong and consistent play at Beaver Creek golf course with a 34-34-68 on Sunday for a 7 under par total of 137. He wins the Senior Baton Rouge Open by 5 shots over Randy Goff. Goff finished at 2 under par 142. Danny Heyward shot a 2 under par 70 on Sunday to finish 3rd at even par 144. Jack Terry took 5th with his steady 72-73-145. Thanks to all the senior players who are making this a better event every year.